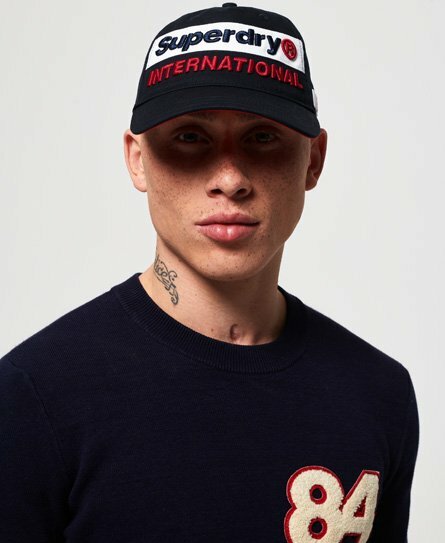 Superdry men’s multi international cap. Change up your outfit with a drop of a, well, hat! This classic baseball cap is a must-have in every wardrobe, it features a Superdry logo embroidered across the front and a clip to adjust the cap to your head.